It’s that time of year again! 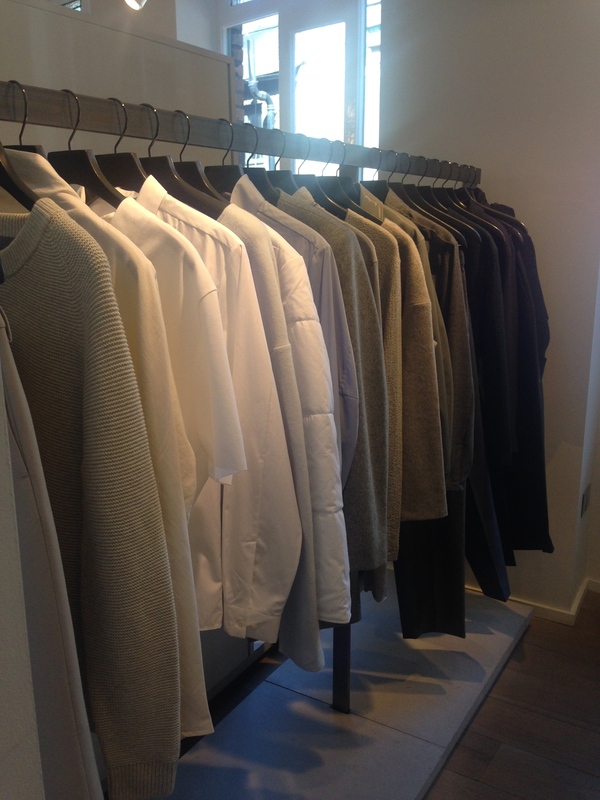 Time for the COS Press Preview! I’m very lucky to be able to get a sneak peak at all the incredible looks that COS will be releasing in the coming season. As one of my favourite brands, I love being able to see their new collection and to hear about the inspiration behind the designs. I appreciate that some of their pieces are quite out there and not for everyone, but I love a brand that takes risks and pushes the envelope. It’s exciting to me! 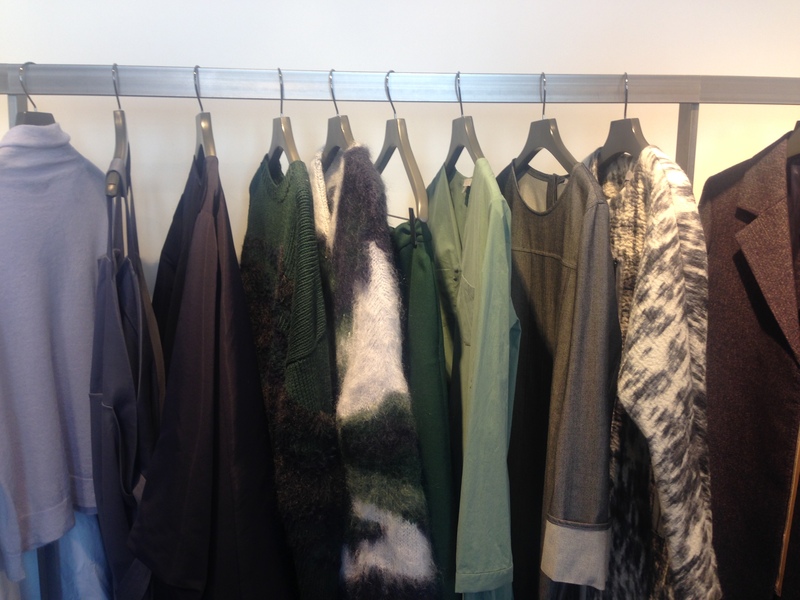 The colour palettes for this season are beautiful. A lot of the inspiration for this collection came from Japanese culture and nature. The textures and colour combinations were on point. As always, they had the nicest food and juices. I always leave the preview feeling nice and full! So lets talk accessories. Greys, blacks, brushed metals. It was all super tactile and minimalist. I thought that the accessories worked perfectly with the colour palettes of the new collection. As always, I’m majorly crushing on the shoes and bags. I feel that the accessories are always very wearable, while also being pretty unique. Every season, I automatically gravitate towards the menswear first. I have no idea why. It could be because I love how fashion forward they are with menswear, it could be because I love the vibe of their menswear. 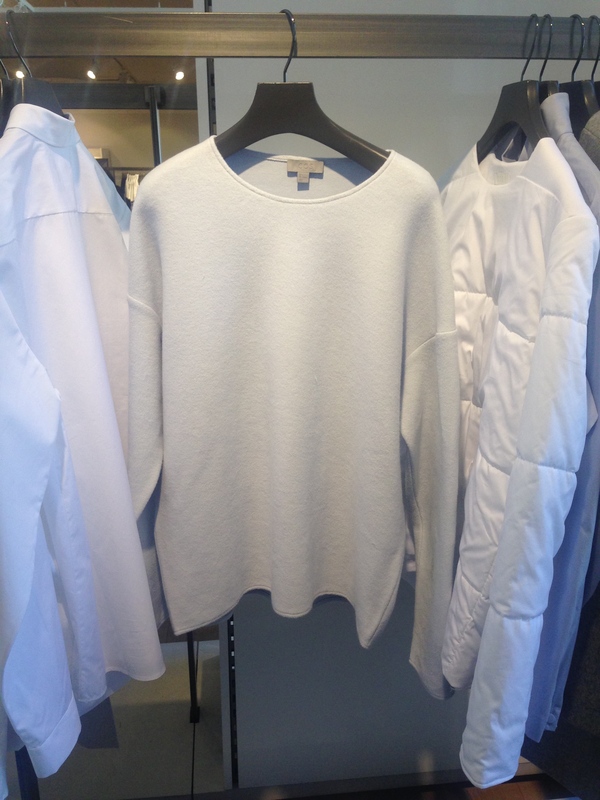 The light grey sweater below is made of the softest material ever. Seriously. It’s like stroking a cloud. I will absolutely be buying this in the new season. It would be the cosiest thing ever to wear on cold, wet nights. 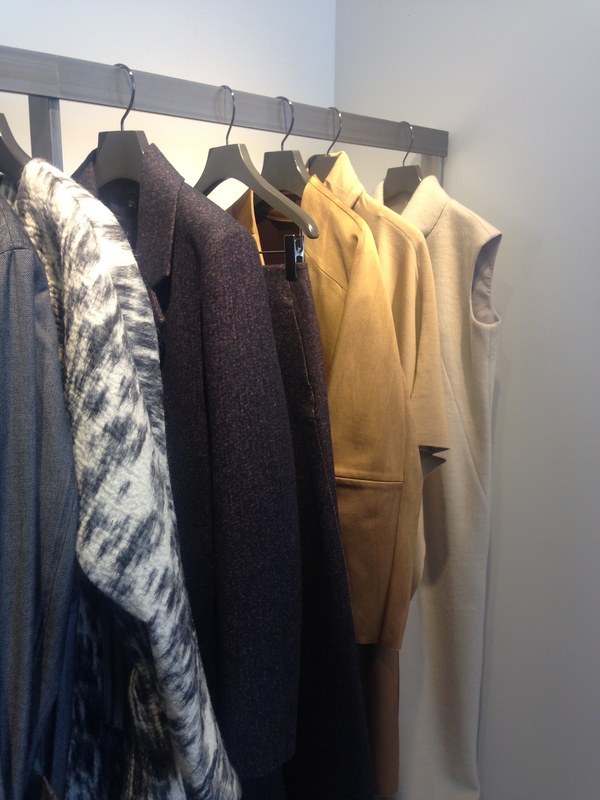 The colours were fairly muted, a really wearable neutral collection. 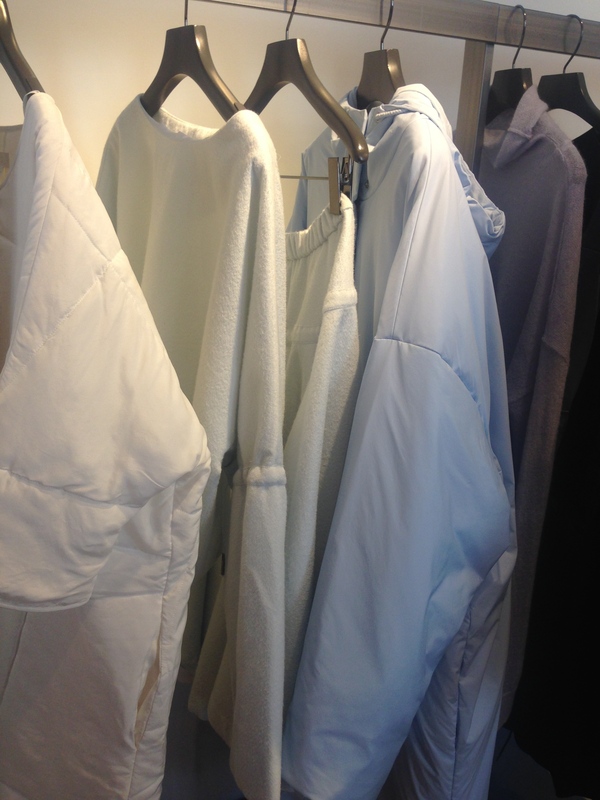 One of my favourite things about the Autumn Winter Cos previews is always their coats. They are to die for. Unfortunately, they have a love for making their coats insanely long which makes little 5 foot 2 me look like I’m dressing up in my dad’s clothes. I’m all about the Olsen twin vibe, but really this is too much. 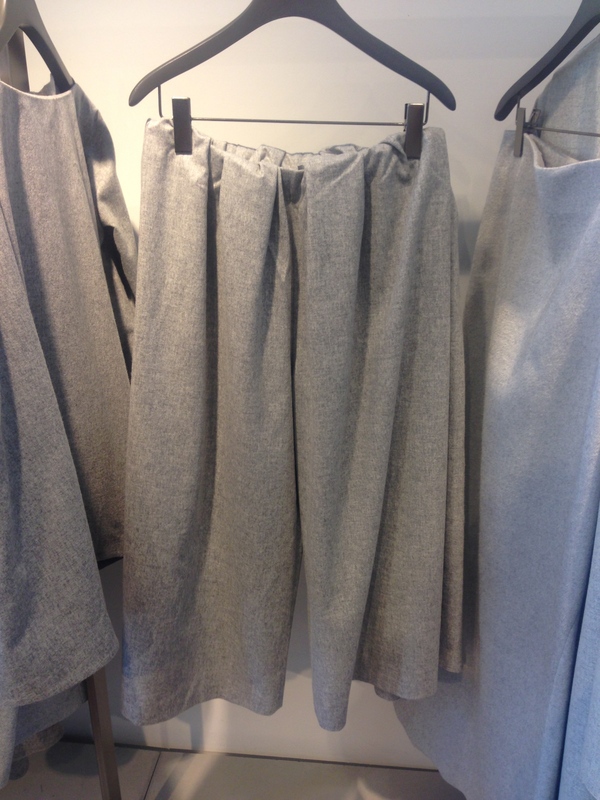 Culottes are definitely still going to be big next season. I’m loving these grey and red pairs below. I think people will go crazy over these once they hit the stores. There is a jacket there that essentially looks like a giant sleeping bag. 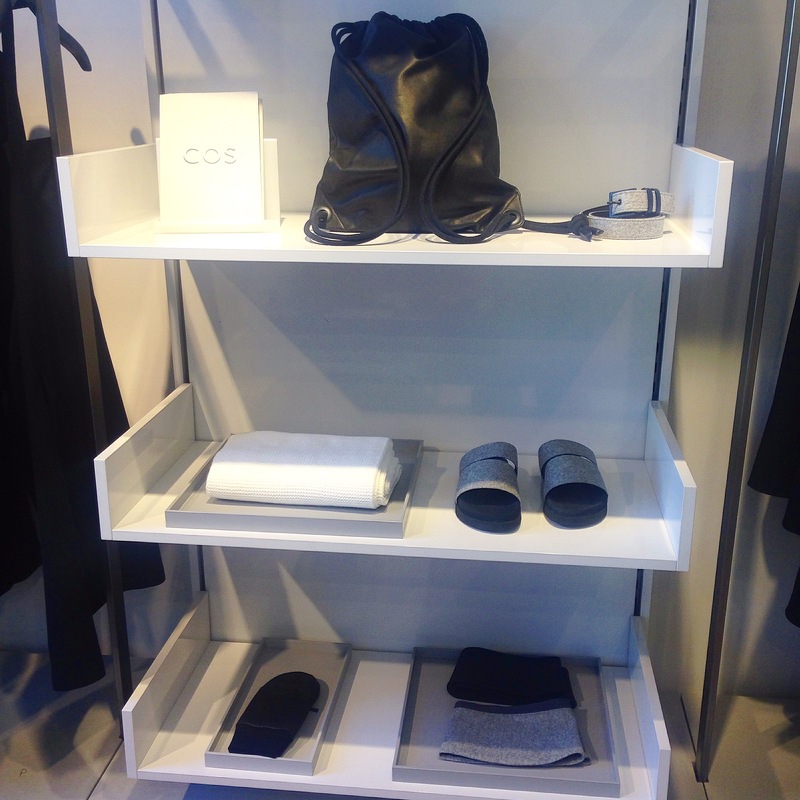 I don’t know how well it will sell for the day to day wear, but as I said before, I love the fact that Cos pushes the boundaries for the high street. It’s exciting to me! The greens and camels were definite favourites from the collection. 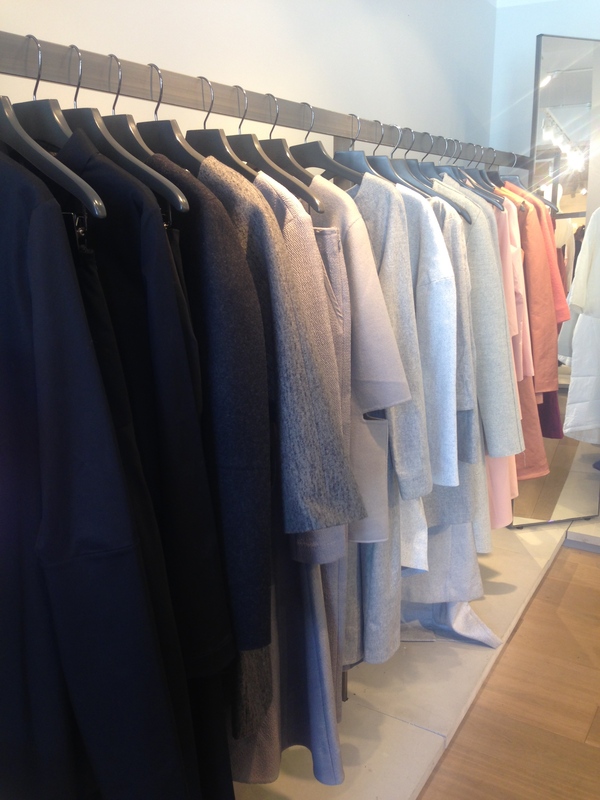 There’s a gorgeous patterned fluffy cardigan, and some beautiful soft dresses and jackets. I think people will have a lot of fun with this collection and will find that a lot of the pieces will work well in their existing wardrobes. I hope you liked my review of the collection. If anyone wants more information, just leave a comment below! Love it! Do you know when it will be available to buy?